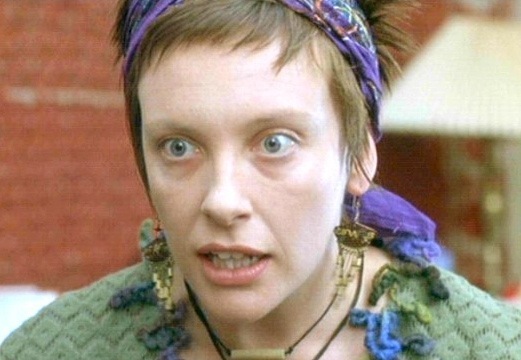 Toni Collette as Fiona, “Ms. Granola Suicide,” in movie About A Boy (2002), screen shot, June 18, 2014. (http://hotmovies.com via Universal). Qualifies as fair use – low resolution picture is personification of topic (self-righteous liberal). More and more, I’ve tired of folks who proclaim that because they’ve finally “seen the light” on a particular niche or chic liberal issue, that their view is not only the right and only one. Anyone who doesn’t fall in line with their perspective is the enemy, a sap in support of the destructive forces of capitalism, a person whose individual actions will destroy the world. Brazil was and still is a leader in Global South economic development, with massive inequalities to boot. After two and a half centuries of virtually unchecked economic and industrial growth at the expense of the environment, though, where did we as Americans have the right to tell people in other countries to slow or halt their economic development? After exploiting the riches, resources and peoples of the world, where did these do-gooders get off telling other countries that they ‘d have to find a slower way to deal with poverty, or to not exploit their own resources? 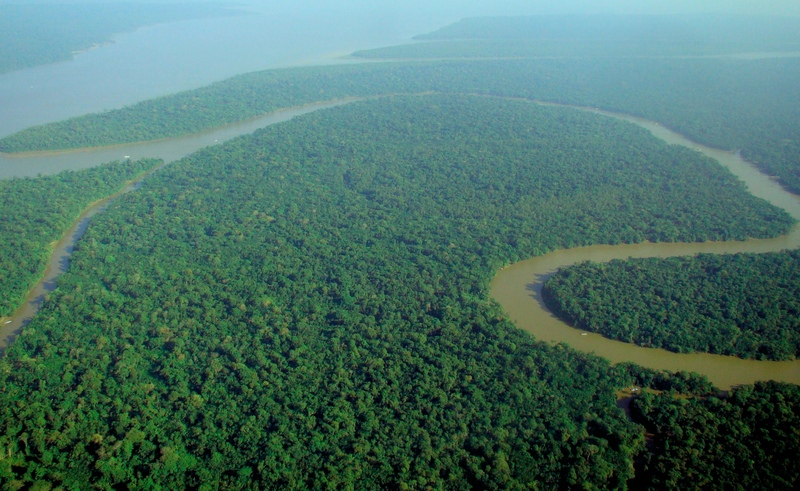 An aerial picture of an area of the Amazon Rainforest, Brazil, September 9, 2009. (Felipe Menegaz via Wikipedia). Released to public domain via CC-SA-3.0/GNU. I would get into the occasional argument about this very White, very un-liberal liberal way of thinking. One where we’d get to keep our modern development while countries like Brazil were supposed to languish in the Third World box we and Europe built for them. Of course, the do-gooders would argue back at me, telling me that I wanted to destroy the environment and make the air unhealthy for our future kids and grandkids to breathe. As far as they were concerned, keeping the Global South poor and exploitable was our only chance at beating back global warming and species destruction. It’s not any different today with issues like food justice, gun control and safety, and drug policy (and for some, religion). I have a Facebook friend who has become more belligerent about promoting veganism and condemning us so-called meat-eaters (technically, humans are omnivores) over the past half-decade. The issue for him couldn’t just be about agribusinesses and their gross abuse of the land, of crops and of domesticated animals, their control and degradation of much of the world’s food supply. No, it’s about individuals making choices that empower these massive corporations instead of going to an organic farm or farmers market or choosing to turn away from all animal proteins for the sake of their bodies or to curtail climate change. I have no problems with vegans or veganism (I’ve tried it myself on occasion) or with fighting Archer Daniels Midland, Monsanto and ConAgra. I do have a problem with the myopic thinking that people like my Facebook friend have in attacking individuals. It’s such a ’70s liberal way of confronting a huge issue. Not to mention a very White and elitist perspective. Fact is, a truly healthy and well-rounded vegan diet is an expensive one, as the federal government doesn’t subsidize vegan products like it does agribusiness. In a nation like the US, with a shrinking middle class and growing inequality, to expect every individual to stop shopping at Walmart and eating Big Macs in exchange for the organic farm and lentils is arrogant and wholly unrealistic. There’s no way I’d tell my Facebook friend all this. I’d get argued down as if I were attempting to spread a superflu across the planet. And it wouldn’t be a rational argument either. But then again, it’s okay for White liberals to be irrational in their arguments, especially when it’s in defense of the planet! ConAgra Foods logo, June 18, 2014. (http://innovate.unl.edu/). There’s also irony around gun control and safety and drug policy. When it’s so-called Black-on-Black crime, or a drive-by in New York or Chicago, those meet White liberal expectations. When it’s Columbine or Newtown or Santa Barbara, involving White-on-White crime, then it becomes time for more mental health screenings and more gun control. When heroin and crack cocaine found their way into poor Black and Latino communities in the ’70s and ’80s, we needed tougher drug laws to lock away “the animals” and “thugs.” Now that crystal meth and heroin have made their ways into White-middle-class suburbia, it’s now time to decriminalize some drug possessions and legalize marijuana. But no contradictions there! A big part of the problem with everyday White liberalism is the idea that individuals and their individual decisions will add up to a groundswell of societal change. Yet how can you change the world if you’re not willing to sacrifice the structures that exploit others who aren’t White and middle class, who don’t live in America or in some suburban cul-de-sac? But go ahead, keep on keeping on with your non-GMO, organic vegan tuna salads made of soybeans and carrots while yelling at the rest of us impoverished shlubs to get with the program!